It’s Wednesday! (albeit a little late in the day…) So that means its time to Get Crafty! Today’s DIY inspired home decor is for my living room. Despite being here for over a year, I don’t have a lot of art work or really anything hanging on the wall in my living room. I’ve got an iron cross by the front door and a couple of French bistro type paintings on the wall near the hallway. Other than that… That’s it! So, I started scouring Pinterest (I mean really, I could get in trouble on that site…) First I was looking simply for home decor ideas. I thought maybe I could find something at Target or Ross to put up. I have this one wall that is mostly doors, but there’s a space of wall between the door to my office and the door to the laundry room. It needed something. It was literally the center of the room, and it looked blank. I wanted something kind of abstract, and the living room/kitchen kind of have a Old World, European theme to it. Let me tell you it was impossible to find what I was looking for on my budget! (which is pretty much nothing…) So then I thought, if I can’t find what I’m looking for, I’ll make it! And thus began my canvas wall art project! Scrapbook paper (the 12 x 12 sheets work best and you can cut them down to size. First I painted the sides of the canvases. I used a chocolate brown since it matched all my paper. The idea is to get a dark enough color so that it doesn’t stand out at all and the focus is the detail on the front. Next I cut down the paper. I simply traced the canvas so that it would be even with the edge. You don’t want the paper going over farther than the edge of the canvas. While the canvases were drying, I took some of the paper outside and burned off the edges. 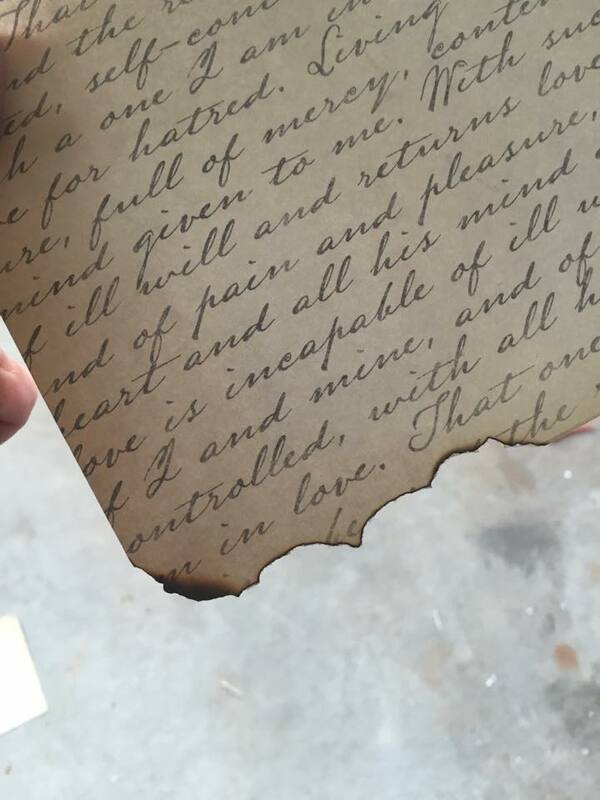 I love the way burned paper looks. It’s very old/vintage looking. Of course this is a completely optional step. If you’re not going for that look, you can find something else to do to the paper, or only use the one paper per canvas. It’s up to you! To glue the paper to the canvas, you need some type of craft glue or modge podge. The only thing that you want to remember is that you don’t want to be able to see any type of glue ribbon, so something in a gel or solid form works best. I would highly advise staying away from something like hot glue or something like that because you might be able to see it behind the paper. Glue the background pieces on and then any pieces on top of it (like my burned paper pieces). The last step is hanging it up! I actually found this to be the most difficult part, simply because I’m kind of OCD about lines and stuff. So I had to get out a measuring tape and make sure that everything lined up just the way I wanted it. And that’s it! It was super simple, and I was able to complete it in about an hour and a half, although that was with several interruptions and trying to do laundry in between steps. I’m a bargain hunter. I really won’t even buy the supplies I need for a project until they go on sale. That’s a benefit and a curse because I buy things when they’re on sale and then don’t start the project for months. That being said, some of the stuff I had on hand already. Canvases: Michael’s was doing a BOGO sale on canvases last week so I stocked up. They were originally $7.49 each, but since they were buy one get one free, I only paid $14.98 for all 4 of them. Paper: Again, Michael’s had an awesome sale going on here. Their 12 x 12 scrapbook paper was $0.14 each. I used 6 pieces so a total of $0.84! Glue: I had craft glue left over from wedding stuff, and I don’t remember how much I paid for it. I pretty much always have some of that on hand. Paint: Again, I had it on hand from the wedding. I have a huge bucket of paint and almost always buy some when Michael’s or Hobby Lobby have them on sale. I will almost never pay more than 50 cents for a thing of paint unless absolutely necessary. So this project cost me less than $16.00!! Way cheaper than if I would’ve bought the art at a store. Plus this way I got to customize it how I like it. I got to pick out the colors, themes and design of the art. I call this a win! What are some of your DIY art hacks? I love this idea and have been kicking around the idea of framing some favorite Scrapbooking paper. 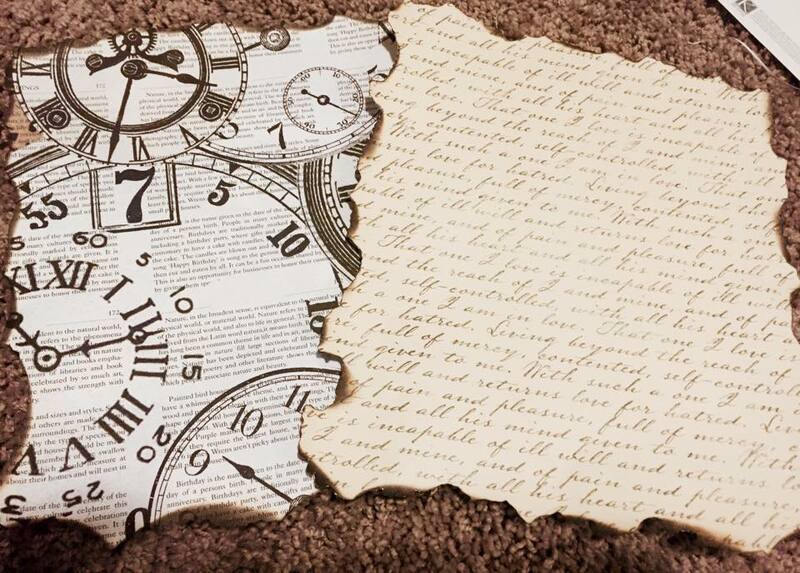 The clocks canvas is my favorite one.